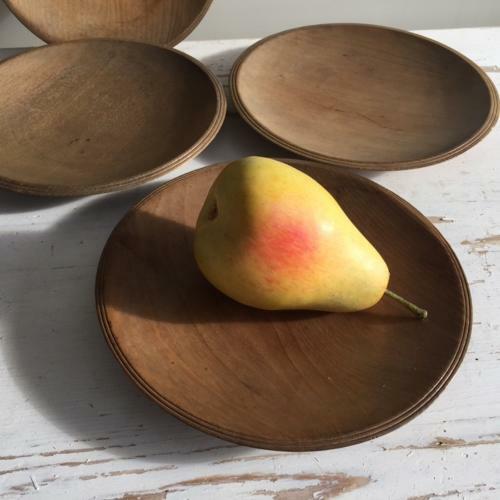 Rare set of 4 Treen Sycamore Roundle Platters/Eating plates. Each one has good colour and fine turned edges and foot at base to stand level. Some cut marks but otherwise in excellent condition.